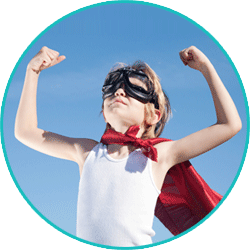 Throughout the healthcare journey you may hear a lot of people refer to your child as resilient. But what is resilience? And how can you help your child develop more? When your child receives a diagnosis, and is in treatment, it can be very stressful. Your lives change suddenly and you may worry how you and your family will get through this difficult time. Resilience is the ability to “bounce back” from a stressful situation, including a diagnosis or treatment of an illness or injury. 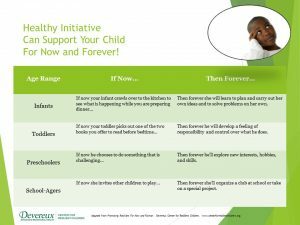 Building resilience in yourself and your child will result in better coping now, as well as when faced with future challenges. What makes a child resilient? When looking at resilience, experts focus on three factors: Attachment/Relationships, Initiative and Self-Regulation/Self-Control. 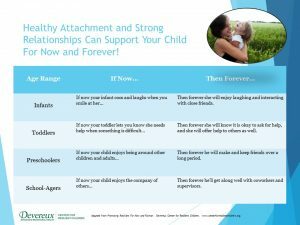 Healthy attachment is the ability to create and maintain positive connections with others. Initiative is the ability to think and take the steps needed to meet one’s needs without the help of others. 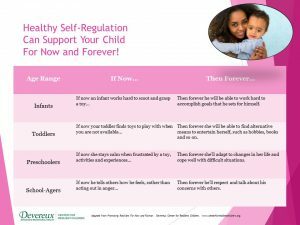 Self-regulation is the ability to adjust feelings, thoughts, etc. in order to handle a situation in a healthy manner. What can you do to help build resilience in your child? Here are a few tips to get you started. Create and maintain routines or schedules. Set aside some time to do a family activity or talk about each other’s day. If possible, try to eat meals together. Practice ways that your child can calm themselves when they are upset, like deep breathing or visualizing their favorite place.